There are a lot of online pharmacies in the market and often, it is hard for consumers to discern which ones are reliable and which ones are not. Although online drugstore reviews should not be the only ones buyers should look into when searching for online drugstores to use for their meds, reviews can help buyers to evaluate a shop’s performance without needing to do test purchases on the websites they are planning to use. Where Can I Find Trusted Online Pharmacy Reviews? In most cases, on-site comments at online pharmacies are posted by the administrators of the website. Often, they do not contain dates or links to the profiles of the users who allegedly commented on their website. We’re not saying that these reviews are fake, but these types of reviews are quite hard to verify. Not all online drugstores post one block of comments, though. There are some online drugstores that allow buyers to comment on each of the products they purchased, and these shops only allow buyers with legitimate purchases to comment and rate the products they bought from the stores. In some cases, other online drugstores also employ the use of third-party service providers to ensure the genuineness of the reviews for the websites. Third-party reviews for online drugstores are usually more reliable than the on-site reviews. These platforms host reviews and customer reports for various kinds of websites (not necessarily online drugstores) to help create more “honest” reviews from customers. Buyers are free to give their opinions on third-party review sites, without fear of moderation from the drugstores they have purchased the medicines from. Apart from the on-site reviews and third-party review sites, customers can also use domain assessing platforms like Legit Script, Scam Adviser, and Scamner. These domain checking online platforms help the buyers identify legitimate or rogue websites and also help determine important details about web drugstores, like for instance, their age, security certificate status, or their location. 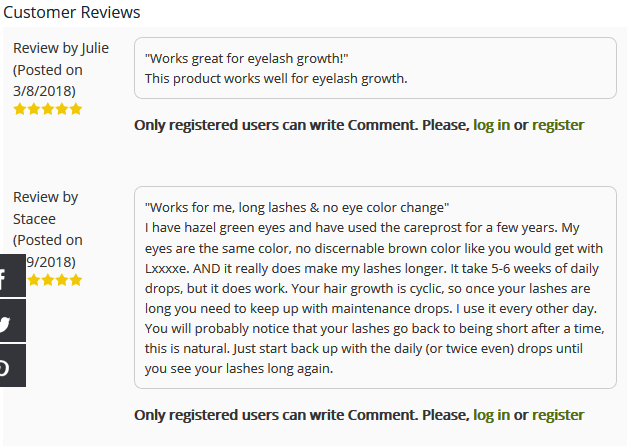 Besides the aforementioned kinds of reviews, buyers can also benefit reading blogger reviews for online drugstores. Although most of these articles/reviews are opinionated, buyers can benefit from them since they scrutinize online pharmacies to the last detail. Unlike buyer testimonials, these blogger reviews are able to evaluate the online drugstores more in-depth and provide more information about the shops than customer comments. However, because they are personal in nature, these reviews may often be biased. Customers can also use forum websites to gain more insight into the collective opinions of customers on online pharmacies. Forum sites are good to use since they have discussions on buyer experience in specific online drugstores—members have the opportunity to thwart negative opinions about the stores and also have the chance to clarify misconceptions about online stores and products. According to one online drugstore rating from Trust Pilot, the shop had 86% excellent reviews for its service and only 1% bad reviews out of 1,555 customer testimonials posted for the online pharmacy. 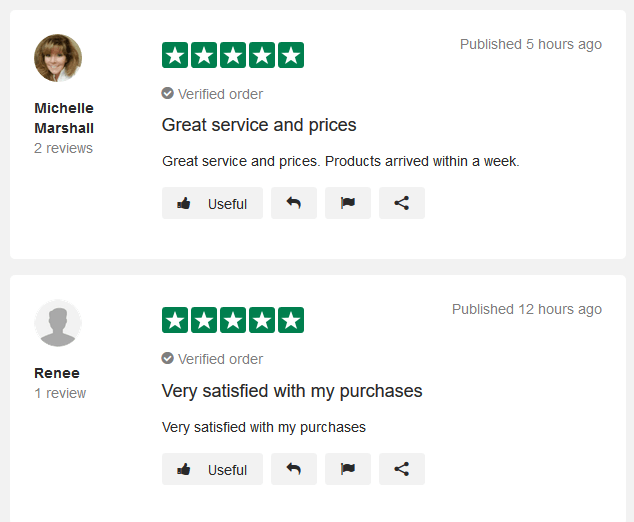 One Michelle Marshall rated an online pharmacy 5 out of 5 stars and mentioned that the store offered great service and prices for the medicines she needed. She stated that her products arrived within a week. Renee also had 5/5 stars for the store and mentioned that she was very satisfied with her purchase from the store. These reviews, surprisingly, are recent (published just hours ago) and are from verified clients. Not all reviews are from highly satisfied clients, though. There are some like Gari, who gave only 3 out of 5 stars for the same online drugstore. According to him, he’s referred numerous clients to the shop because of its products, but he was disappointed because the shop was not consistent with its product availability. It is usually like this with online drugstores—most of the time, online pharmacies have a melange of good and bad review from their consumers. Some shops, though inherently good, are unable to please all of their clients, but in some cases, some stores are blatantly scamming consumers. Pharmacy Ratings: How can they help me find a legitimate web drugstore? 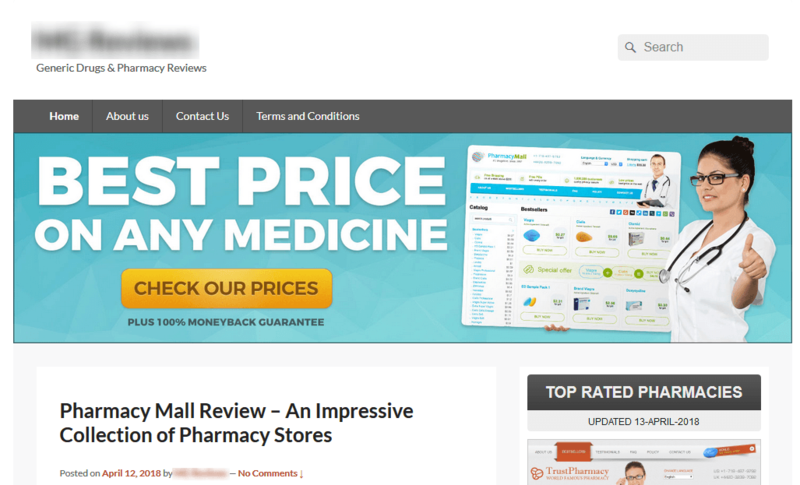 Reviews identify legitimate pharmacies – Good customer comments lead buyers to desirable online pharmacies. Consumers can find the best online pharmacies through buyer recommendations across online pharmacy review platforms. Reviews help customers avoid illicit online drugstores – Reviews give buyers a heads up on faulty online drugstores—if a shop is a scam, it will leave a trail of bad comments from its former clients. Reviews can help you find the most suitable stores for your specific drug needs – Not all online pharmacies are equal and online reports can help you identify the best online pharmacies for the medicines you need. You can find recommendations for specific stores for specific medicines like skin care products, impotence treatments, and others. 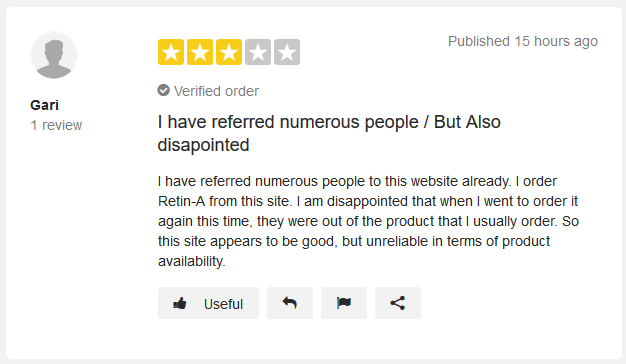 It is important for buyers to read reviews for online pharmacies, especially the ones they intend to use. There are a lot of types of buyer reviews to consider and although reading up on various types of reviews is time-consuming, it can help lead you to the best online pharmacies on the web. For a list of reliable drugstores, you can consider using our list of TOP Online Pharmacies for the current year.